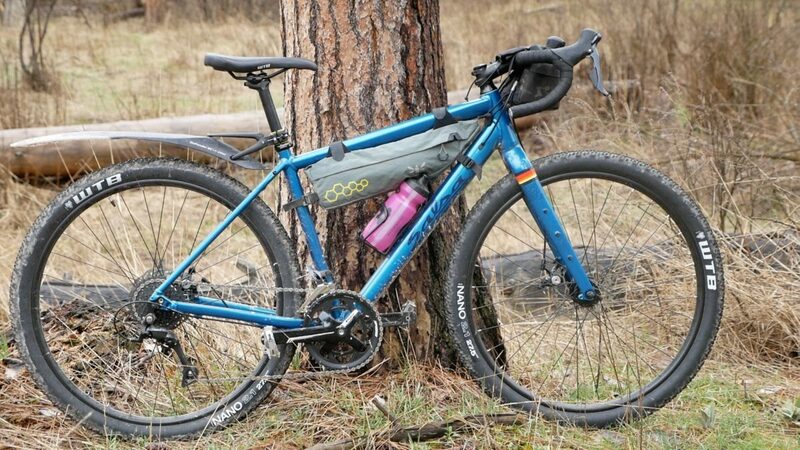 Review of the budget friendly Salsa Journeyman! Loving all these reviews, very helpful! Do you know if you’ll be reviewing the Salsa Fargo any time in the near future? Thanks! Thanks for the review. I keep thinking about this bike for all of the reasons you mentioned. I am a shorter rider looking for a 650b adventure/everything bike and would love to know if you had any thoughts on cost-effective parts (say, a few hundred dollars beyond the purchase price of the Sora build) that could be immediately swapped to drop the weight a few pounds. I also really like the price-point of the Fuji Jari 1.5 (and it’s pounds lighter!) but the geometry seems more towards a road bike than the Journeyman unfortunately. Would this bike qualify as a do-it-all bike if I only want to ride on paved surfaces (roads, bike paths, city streets, etc.) for 30-60 miles at a time, or would it be overkill? I don’t want an upright hybrid, but I also don’t want a road bike. In your opinion, is this a happy medium? Or, should I look at something else? Thanks. As an avid bike packer who previously owned a Surly LHT, I must say I enjoy riding this bike. It definitely is a “Do-all” Bicycle. My daily 30 miles to unwind after a daunting work day, it seems to do rather well holding up on the road. Keeping up with the Pack isn’t my priority but in the same sense I’m not being dropped by people riding strict road bikes. What fender are you using in this video?